The existence of these other-world systems is yet to be confirmed by modern science. However, modern scientists are now working with the hypothesis that there is a possibility of other forms of life existing on other planets. As a result of today's rapid scientific progress, we may soon find some living beings on other planets in the remotest parts of the galaxy system. Perhaps, we will find them subject to the same laws as ourselves. They might be physically quite different in both appearance, elements and chemical composition and exist in different dimensions. They might be far superior to us or they might be far inferior. Why should the planet earth be the only planet to contain life forms? Earth is a tiny speck in a huge universe. Sir James Jeans, the distinguished astrophysicist, estimates the whole universe to be about one thousand million times as big as the area of space that is visible through the telescope. In his book, The Mysterious Universe, he states that the total number of universes is probably something like the total number of grains of sand on all the sea shores of the world. In such a universe, the planet Earth is only from the sun which takes a seventh of a second to reach the earth, takes probably something like 100,000 million years to travel across the universe! Such is the vastness of the cosmos. When we consider the vastness of the many universes making up what is popularly known as 'outer space', the hypothesis that other-world systems might exist is scientifically feasible. In the light of modern scientific discoveries, we can appreciate the limitations of the human world. Today, science has demonstrated that our human world exists within the limitations of the vibrational frequencies that can be received by our sense organs. And science has also shown us that there are other vibrational frequencies which are above or below our range of reception. With the discovery of radio waves, X-rays, TV waves, and micro waves, we can appreciate the extremely limited vision that is imposed on us by our sense organs. We peep out at the universe through the 'crack' allowed by our sense organs, just as a little child peeps out through the crack in the door. This awareness of our limited perception demonstrates to us the possibility that other world systems may exist that are separate from ours or that interpenetrate with ours. Buddhists do not share the view held by some people that the world will be destroyed by a god, when there are more non-believers and more corruptions taking place amongst the human beings. With regard to this belief people can ask, instead of destroying with his power, why can't this god used the same power to influence people to become believers and to wipe out al immoral practices from men's mind? Whether the god destroys or not, it is natural that one day there will be an end to everything that comes into existence. 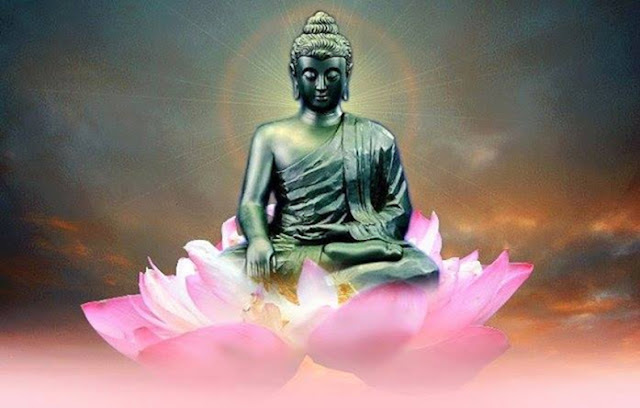 However, in the language of the Buddha, the world is nothing more than the combination, existence, disappearance, and recombination of mind and matter(nama-rupa).